A passenger scuffle at 35,000 feet is keeping a Washington, D.C., entrepreneur busy. 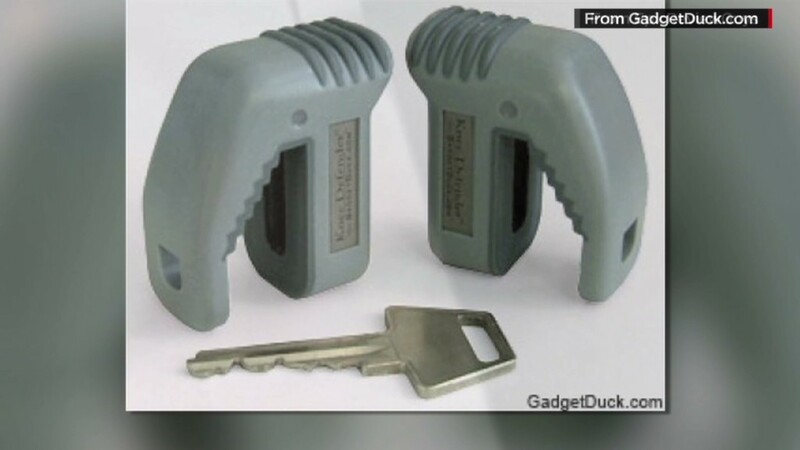 Ira Goldman, the inventor of a pair of clips called "Knee Defender," says the website that sells the product has been overwhelmed since reports of the fight on the Newark-Denver flight surfaced. The Knee Defender clips block passengers from reclining an airline seat. "We had 500 times the normal traffic," said Goldman. "Maybe Amazon can handle that, but I can't." Goldman believes he has enough of the clips in inventory to handle the surge in orders. The Knee Defenders sell for $21.95 a pair, plus shipping and handling. "We'll be placing a new order with the factory in China," he said. He declined to say his typical sales or give an estimate as to Tuesday's surge. The fight on the United flight began when a female passenger complained to a flight attendant that the passenger behind her was stopping her from reclining her seat. The flight attendant saw the clips and ordered them removed. When the passenger using them refused, he received a face full of water from the other passenger. The plane was then diverted to Chicago, where both passengers were ordered off the aircraft. Goldman said that even though United (UAL) and other major U.S. airlines do not allow any device to be attached to their seats, there are no FAA rules against their use. Goldman said he recommends that users always comply with the flight attendant if a dispute arises. He blames the dispute on airlines that jam seats too close together -- but still allow them to lean into another person's space. "If the seats didn't recline, no one would buy the Knee Defender," he said. Related: Should the Knee Defender be banned? Goldman, who is 6-foot-3, invented the Knee Defender in 2003 when he was traveling 50,000 to 100,000 miles a year on business. It's become successful enough that he no longer travels that often. Goldman said he's spent a total of $1.25 in advertising on Google (GOOG), relying on press reports and reviews of his product, along with word of mouth, to drive sales. Despite his windfall sales this week, he said he's not ready to move up to first-class seating the next time he flies.